Book bound diaries have several cover options. 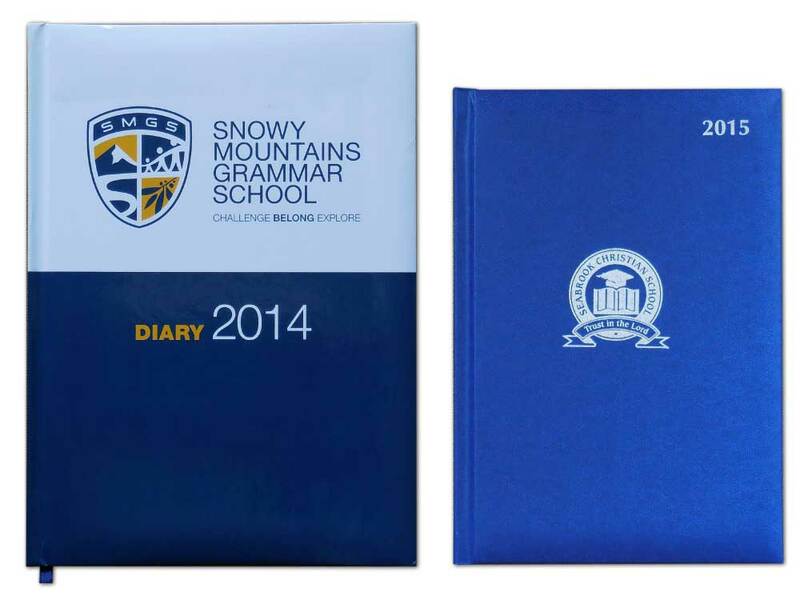 If you after a superior looking diary the leatherette cover is perfect with your logo being stamped on it. Alternatively, you may have custom artwork printed in full colour. An elegant and stylish type of cover that can be personalised with stamping on the front, back and spine! If you are after an alternative cover material or fabric simply let us know and we can share with you appropriate samples. You may print whatever you desire on the cover be it photographs, logos or any image for that matter. If you require an alternative like matt lamination or a different stock just let us know as we are confident we can offer it to you!